This awesome group of 20 students and 8 parents came to experience Strawbale Studio in preparation for their own building of an outdoor earth bench at the Detroit Waldorf School! 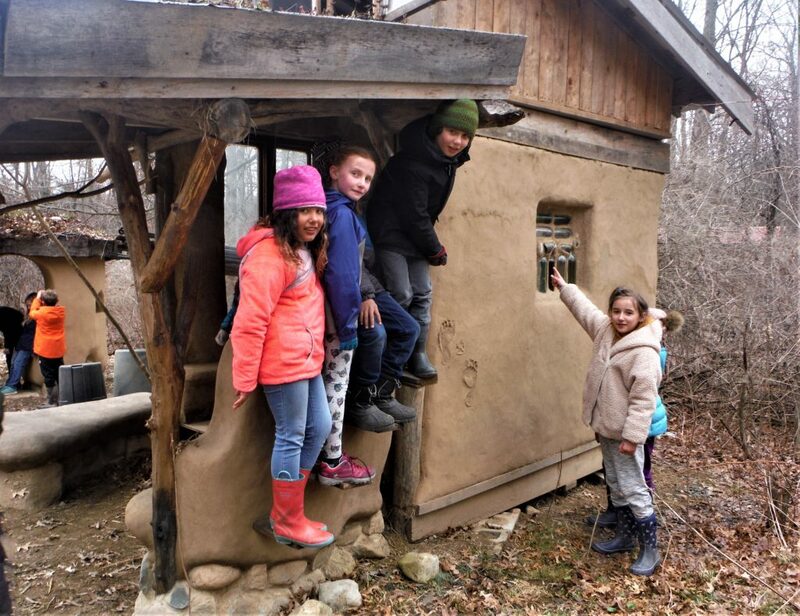 Their teacher, Justin Trombly, is imagining a curved bench made of earth (cob) with a sheltering roof supported by tree trunks harvested at Strawbale Studio. 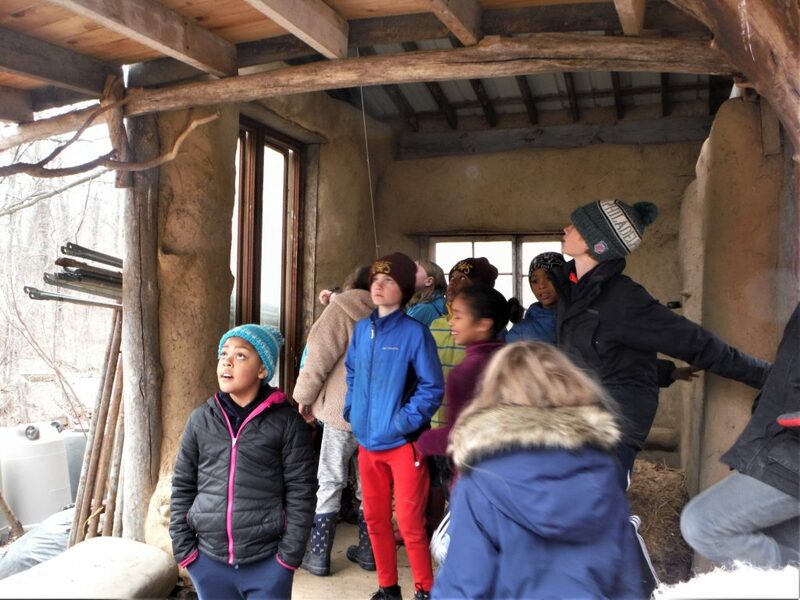 First the students visited 7 Ponds Nature Center up the road, then came by Strawbale Studio to see the buildings, enjoy nature, ask questions, and explore ! 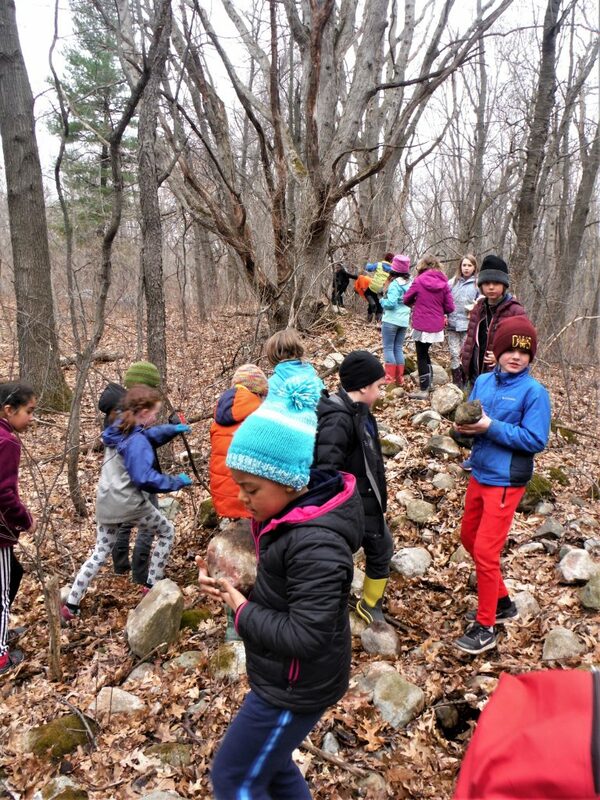 At the end of the afternoon, they harvested glacial rocks (piled up by early farmers clearing their land) for use in their future earth bench foundation! This pic is taken after their Rock Adventure ~ collecting and bringing the stones to the pickup truck. 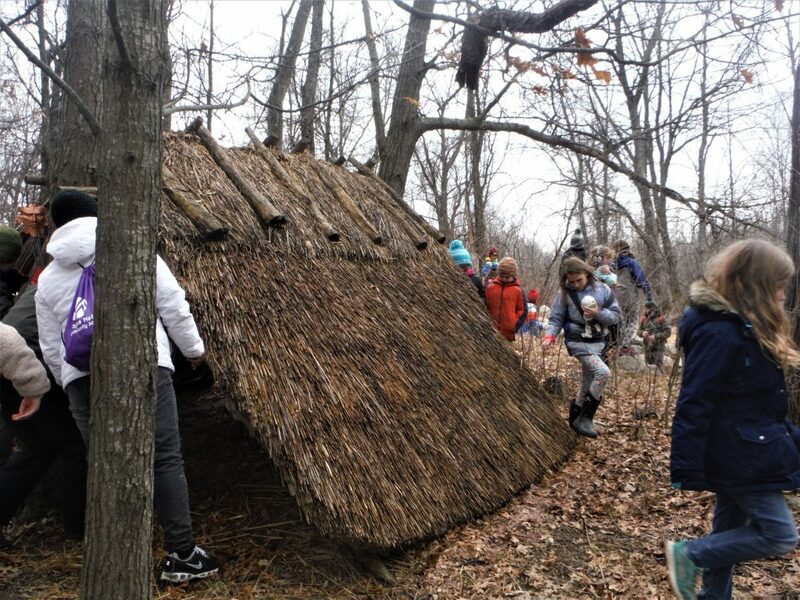 At Waldorf, 3rd grade students study Traditional building around the world, Ah. Earth, Wood, Stone, Plants. 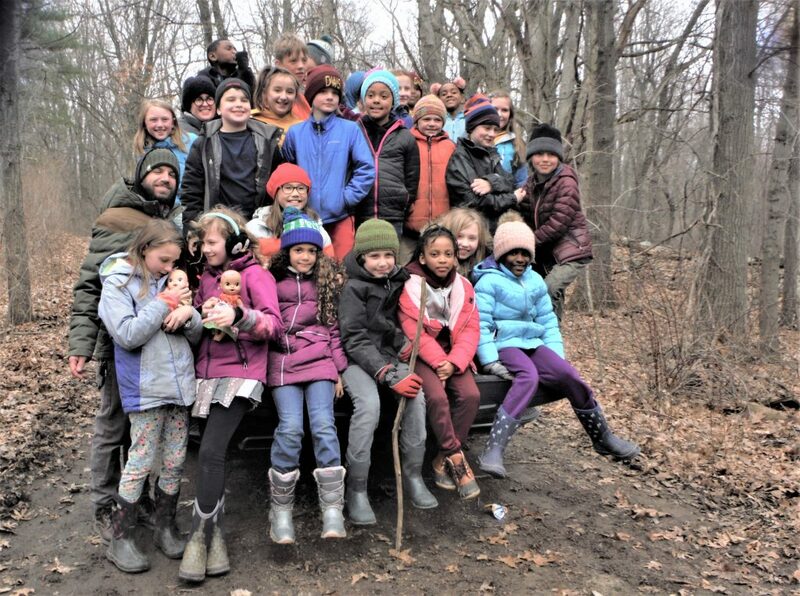 Justin has been their teacher since first grade, and they will continue as a group to explore life and learning through 8th grade at their wonderful Detroit Waldorf School. What a wonderful experience for those children!